bryant park, originally uploaded by jahansell. I went to NYC for a day recently ... had a chance to walk through Bryant Park. What a lovely spot! 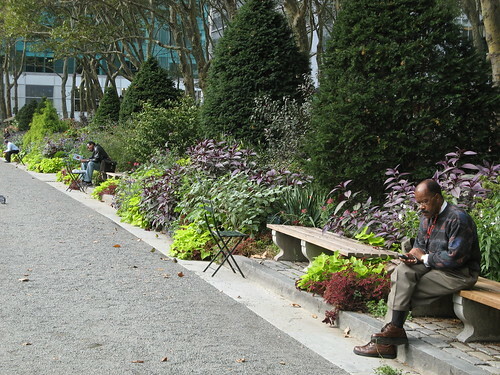 The two men on benches look like bookends- as though they were placed there by the garden designer to match the repeating themes of purple and green.